Hello Junior Adventurers! Welcome to Camp Cremp, the ultimate kids adventure camp where we make the most of every minute spent outdoors. Join the gang and play some outdoor kids games, learn fun facts and share pictures and stories of your favorite adventure. And don’t forget to take the Camp Cremp Challenge! Complete two of our kid’s outdoor activity guides and become an Official Camp Cremp Adventurer. This well known Christmas poem shares the popular American Christmas tradition of a jolly, white bearded man bringing presents to good children on Christmas Eve. This tradition is shared throughout many cultures, whether it’s Santa Claus, Saint Nicholas, Father Christmas or Kris Kringle, kids all over the world look forward to this night time visit. 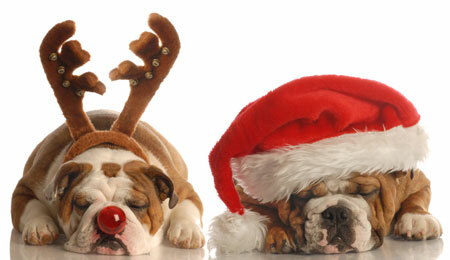 Christmas is a time to be thankful for what we have and to remember and cherish those that we know and love. So this Christmas season, remember to be kind and helpful to others, use good manners, and listen to your parents. 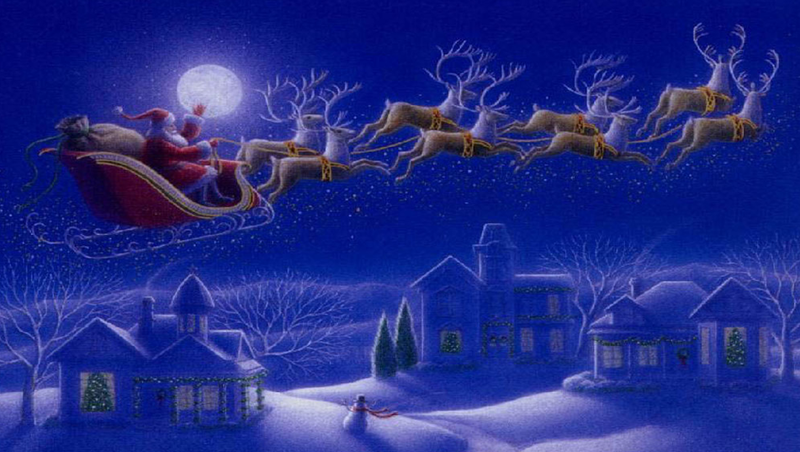 Santa and his elves are sure to notice and will land on your roof top this Christmas Eve. Although presents and stocking stuffers are exciting (and JM Cremps carries some of the best presents and gifts around), the best gift of all will be the smiles on the faces of those whom your kindness touches. Hot summer days and cool summer treats go hand in hand. Those treats are even better when they are homemade, and they are the best when your kids can make them themselves. Believe it or not, your kids will find it fun and easy to make their own homemade ice cream, and you’ll find peace of mind in knowing the exact ingredients that went into it. They’ll be smiling for a long time once they taste how delicious their own ice cream is! Mix-in treats such as chocolate chips, fresh fruit, dried fruit, nuts, or even candy. Oh the fun they’ll have when they get to shake it, shake it, shake it! Combine the half and half, sugar, and vanilla extract in the pint-size bag an seal it tightly. Next, combine the salt and ice in the gallon-size bag. Place the sealed pint sized bag inside of the gallon bag along with the ice and salt. Seal the larger bag tightly. Shake the bags until the mixture hardens (about 5 minutes). You can tell when the ice cream is ready by squeezing the inner bag. It’s ready when it is semi-firm – just like soft-serve ice cream. The cool part is that you can eat the ice cream right out of the bag! You can eat it as is, or you can mix in whatever treat you want for your own special flavor. Your kids will have fun coming up with their own custom flavors. We encourage you to have your kids be creative. Try peanut butter chips and banana pieces (a favorite among the kids here at the JM Cremp’s team), chocolate chips and raspberries, or blueberry and white chocolate chips. Let us know (in the comments below) what your family’s favorite flavors are. You can mix in any of your favorite treats. Liam chose fruit snacks and chocolate chips. Yum! For other fun homemade ice cream makers check out the fun Mega Fun and Play Ice Cream Maker in both the quart size and the pint size. 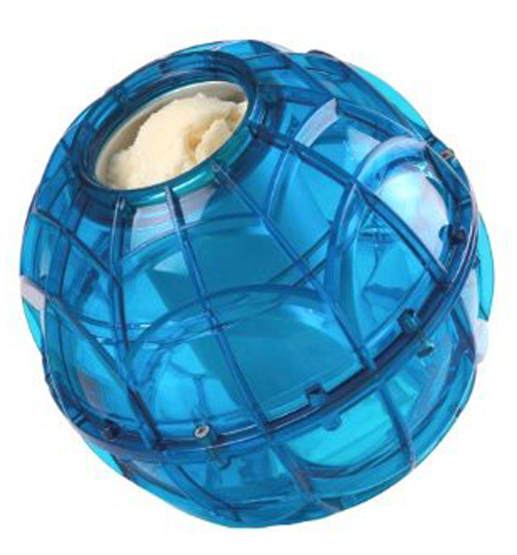 These cool plastic balls make ice cream using the same method as described above, but instead of just shaking a bag, your kids can play games with the ball while the ice cream is being made. Imagine playing catch and making ice cream at the same time! 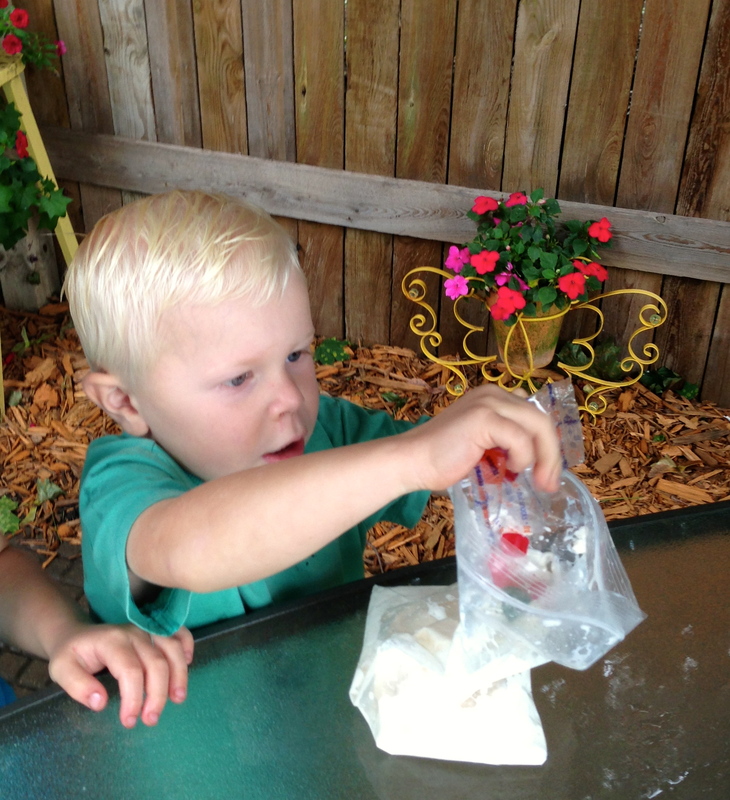 Another fun ice cream treat for kids ages 2 to 100 is Astronaut Ice Cream. It’s the same freeze-dried ice cream that astronauts take into space with them, but you can enjoy yours here on earth. It’s a fun birthday gift for younger kids. The Play & Freeze Ice Cream Maker makes ice cream as you toss it around. Hot summer days can often be lazy summer days, and if you are not careful, they can turn into boring summer days. Sometimes, we have to be a little creative and plan an activity, and adventure, or a fun game to get those kids up and moving. Now that the novelty of “No School” has worn off, adventurous boys may migrate back into the house and towards their electronics. 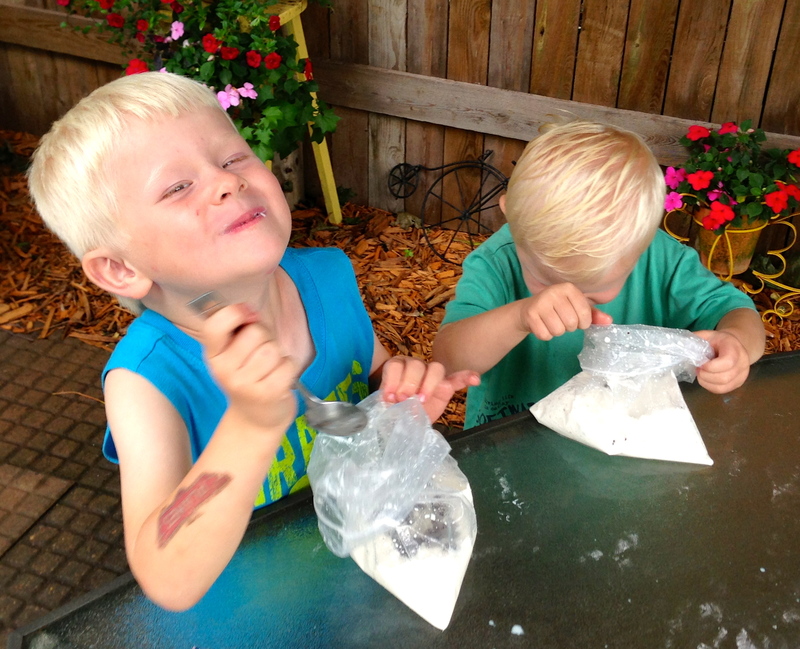 A summer scavenger hunt for kids is a good way to get your boys out of the house on a nice summer day and away from their electronic devices. Now if we make that scavenger hunt a “Creeping, Crawling, Slinking Bugs Galore!” Scavenger Hunt – they’ll rush out the door faster than you can say “BEETLE”! Check It – After they see an insect, they can simply check if off of their list. This way there is NO touching of any creepy-crawly creatures. Snap It – When they find an insect on the list, they can snap a picture of it. Again, this way involves no touching or capturing of insects. NOTE: Please advise your bug hunters to be wary of stinging insects. We recommend that they do NOT try to catch bees, wasps, hornets, or any other venomous insect. 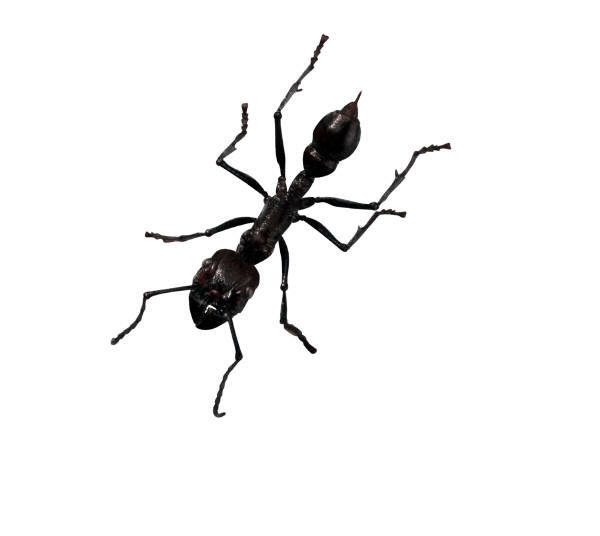 Download your printable Creepy Crawly Bug Scavenger Hunt List here. Keep them occupied by having them find creepy-crawly critters. 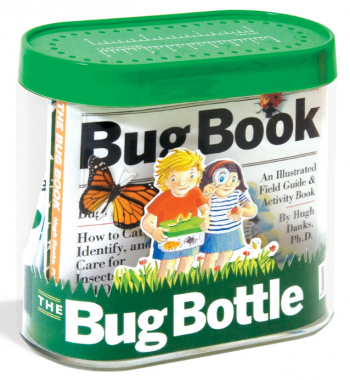 The Bug Book and Bug Bottle is perfect for identifying, catching, and safely releasing bugs back into the wild. 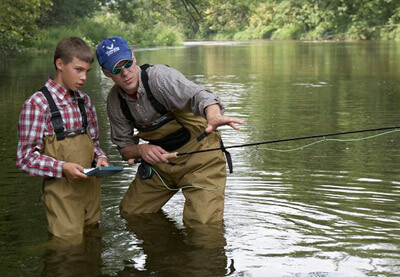 JM Cremps has some of the best bug catchers and bug-catching equipment for kids. Some of our favorites are the BugView Magnifier that allows your kids to get a close-up view of even the smallest of creatures. It is easy to use, is kid friendly, and has 5X magnification. Another favorite is a basic butterfly net. It makes simple work of catching the insects that fly and will keep your troops occupied for hours! Best of all, at less than $7, it makes the perfect birthday gift for any adventurous boy. The Bug Book and Bug Bottle Bug Catcher is the perfect tool for your budding bug catchers. The ingeniously designed plastic bottle is perfect for catching and viewing bugs and then releasing them unharmed. It’s a bug catcher with a conscience! The book that comes with the bottle has detailed information on 46 of the US’s most popular insects so your kids can easily identify their catch and learn to properly care for them. If your family enjoyed this activity, please take a moment to rate this post below. Your feedback and comments help us to make sure that we always deliver a top-notch experience to our Cremps Kids! School is out, summer is here, and the Fourth of July is just around the corner. This is the time of the year where fun and games are all your kids have on their mind. To keep things interesting and to prevent mid-summer doldrums, why not help your kids create a challenging backyard obstacle course. It’s a great way to keep them both occupied and satisfied. Plus, it’s the perfect afternoon entertainment for family bar-b-ques, birthday parties, and those fun Fourth of July gatherings. To create an obstacle course that will keep your kids happy for hours, be sure to choose obstacles that draw on different skills. For example, create a course that includes obstacles that gives them the opportunity to rely on their balance, speed, agility, strength, daring, or even their wits. Using a variety of activities guarantees that your obstacle course will be a memory-making hit. Here are some ideas you can use for obstacles. Mix and match these, create your own, or change them up to suit your child’s age and abilities. 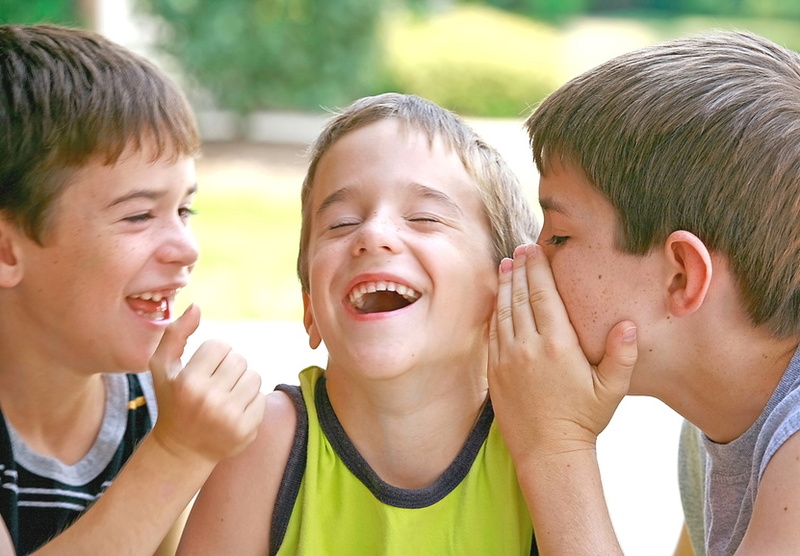 Include your child and their friends in the creation of the course, and they’ll really love it! Hop through a hopscotch board drawn on the sidewalk. Jump Over Obstacle: Arrange boards, towels, or anything you have on the grass for them to jump over. Crawl under lawn chairs, lawn furniture, or outdoor tunnels. Belly crawl over a tarp that has a small sprinkler on it. Special Delivery Obstacle: At the beginning of this obstacle, have them pick up a carrot from a bowl with their teeth and crawl to the receiving bowl (placed wherever you’d like) and drop the carrot in. Walk The Tightrope: Stretch out the garden hose and have them walk across it. Walk with an egg balanced on a spoon from point A to point B. Balance one, two, or three flat objects on their heads. Books, plastic plates, or Frisbees work great. Run or crawl through a wading pool. Follow a crazily drawn chalk line that weaves down the sidewalk or driveway. Weave through balloons strung from tree branches that are at their head-height. Take a lap around the block on a bicycle. Sprint through the yard or around the house. Walk backwards from one end of the yard to the other. As you can see, these ideas are great starting points for you to choose from to build an awesome obstacle course. When kids get involved in the planning, then the creativity really starts to flow! 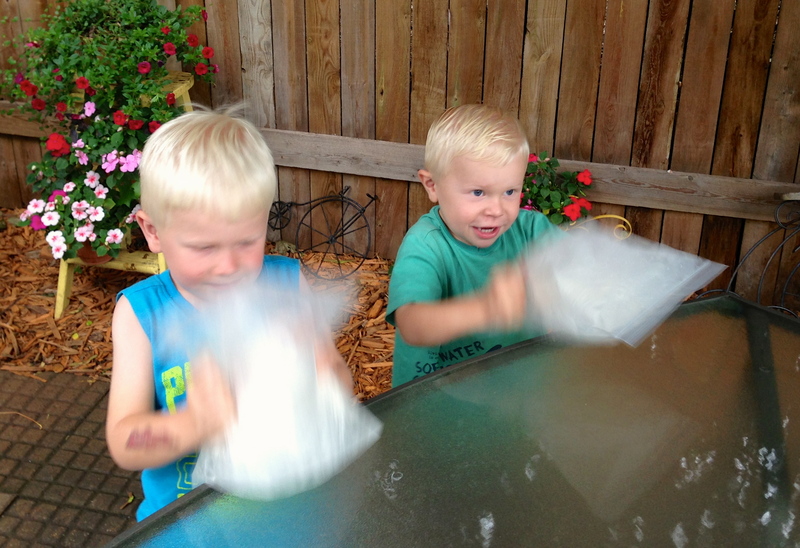 If you really want to have fun and outfit the kids with some fun water balloon launchers, squirt guns, or other outdoor toys, check out our website at www.jmcremps.com. We carry a full selection of toys, gear, and games to make summer adventures extra special. Be a Superhero in your family. It is easier than you think! Since 1995, April 28th has been celebrated as National Superhero Day. Although at first, you may picture a popular fictional character, after some thoughtful consideration, you might realize that you are surrounded by real-life “superheroes” everyday. A mom who can patch up a boo-boo with a bandage and a kiss in 10 seconds flat. A dad who takes his son camping on his only weekend off from work in months. A librarian who introduces a child to a new series of books that ignites his imagination. A group leader who helps teach honor, responsibility, and character to children and young adults. A teacher who doesn’t give up on a struggling student. The list goes on and on, and you probably have your own superheros who come to mind. Don’t forget that superhero powers come in many forms, and what you do today will leave a lasting impression on those who surround you. So give a big thanks to a superhero in your life, and then pass along that “power” by teaching your kids, friends, and family how they can be a superhero in their own way. 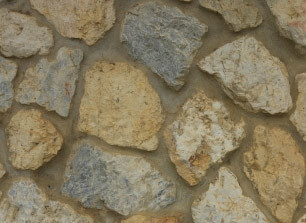 See if you can find a male and female pair of birds. 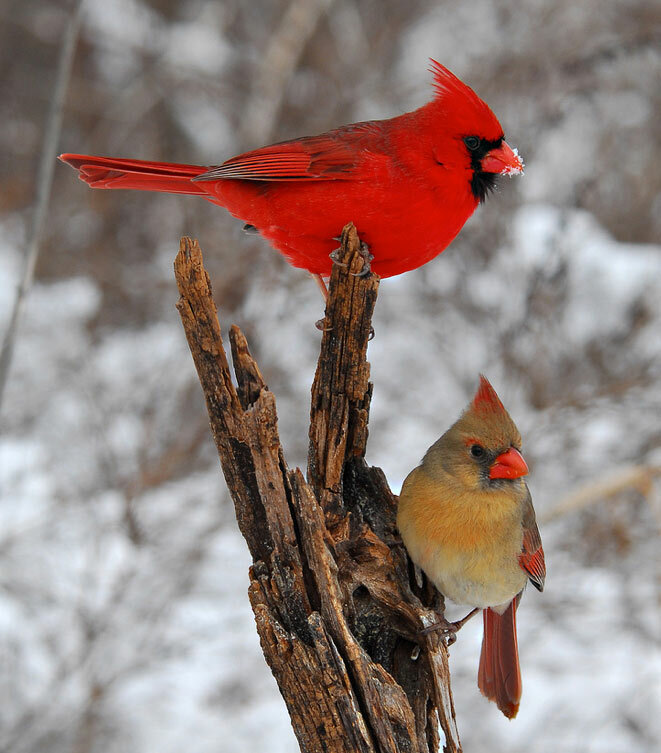 The Red Cardinal male is bright red all over, while the female is brown with red tinges. Spring brings warm weather, green grass, and the sound of kids playing outside. Along with the warmer weather comes the return of hundreds of species of migrating birds. This annual spring migration is a perfect time to do some bird watching with the family. Not only will you learn a bit about the birds that live in your area, you may also find a new family past time! A fun way to get the whole family involved is to turn bird watching into a game. Our Kids Bird Watching Spring Scavenger Hunt is the perfect way to do just that. Simply download and print our list, and see how many things you can find. For an added challenge, try to identify the name of the birds you see. The National Audubon Society has a free online bird watcher’s tool that will make it easy for you to identify the birds you see by their colors, size, and even the sounds they make. For instant help in identifying the birds you see while you are outside, use a bird watcher’s field guide. At JM Cremps, we carry the gold standard of bird watching books – the Peterson Field Guides. The Peterson Field Guide to Birds of Eastern and Central North America is for bird watchers who live in the eastern half of the US. 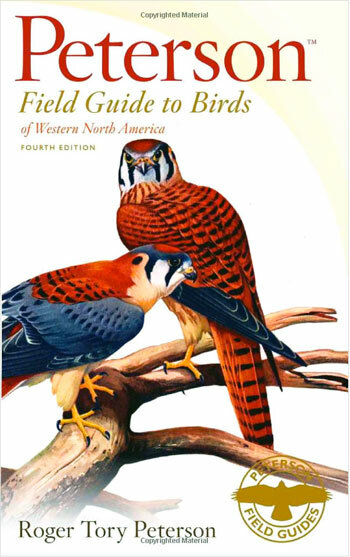 The Peterson Field Guide to Birds of Western North America is for western bird watchers. For the younger kids, the North American Birds Sticker Book is a fun and exciting way to keep young bird watchers engaged while they are learning. The Peterson Field Guides to Birds of North America is perfect for bird watchers of all ages. Take this list outside and see how many of the “bird” items on this list you can find. You’ll have to look high, look low, and listen closely! Every good Boy Scout knows that it is important to be prepared when you head out into the wilderness, but “preparedness” isn’t only for Boy Scouts – it is essential for every one of us that enjoys an afternoon in the woods. Even if you are hiking a familiar trail with your family, playing tag in a wooded area with your friends, or camping out with your scout troop, you should always be prepared. No one ever expects to be in a survival situation, but unexpected things can happen. When they do, the person who is best prepared will be able to handle any situation. A Whistle – If you find yourself lost or separated from your group, then you need a whistle to signal your location to any searchers in the area. 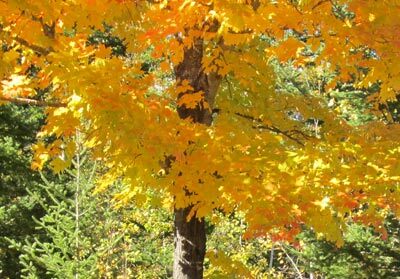 Your voice only carries a few hundred feet in the forest, and a whistle can be heard up to two miles away. Unlike your voice, the whistle won’t get tired and wear out after a long day. That makes a whistle a very valuable rescue tool. SURVIVAL TIP: The universal signal for help is three clear blasts with a slight pause between each blast. Repeating that whistling sequence every few minutes while you are in danger just may be your key to being rescued. A plastic garbage bag – A garbage bag can be used in many different ways. Wrapped around you, it will keep the wind out, the heat in, and the rain or snow off of you. A garbage bag can also double as a rain poncho, a container to hold water, a tarp for shade, or a bag to carry supplies. A garbage bag can be your own personal shelter, and in a survival situation, shelter is an essential thing. Depending on the weather, you may need to take shelter from the sun and heat, rain, snow, cold, or wind. Anyone of those things can rob your body of vital energy. NOTE: Do not EVER put your head inside of a plastic bag. You will not be able to breathe! Water – You absolutely must have water to keep your body working correctly. Don’t ever go out into the woods without taking some water with you. Try to take at least one quart of water. If you find yourself without water, then try to conserve the water that is already in your body. Breathe through your nose instead of your mouth because you lose water when you exhale. Also, try to minimize activities that make you sweat. You will rapidly lose water as you sweat, so move slowly and carefully, and rest often. A brightly colored bandana is very useful in a survival situation. Especially this helpful Survival Bandana that’s loaded with survival information. A bright colored bandana – A bandana is very useful. You can use it as a hat to keep your head and ears warm, or you can use it to protect your eyes and face from the sun. You can also use it as a signal flag to wave at aircraft passing overhead or people you see far away. You can also tie your bandana to a stick so that your flag can be waved high in the air. That will greatly increase your chances of being seen. JM Cremps carries a bright orange Survival Bandanathat is the perfect addition to any survival bag. 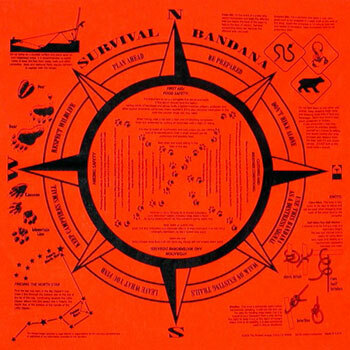 The bandana is loaded with survival techniques including: How to gather water, how to build a shelter, how to find edible foods, start a fire, tie knots, and more! A Flashlight – If you find yourself out at night, a flashlight will be your best friend. Besides being able to see your surroundings, a light from a flashlight will be a comfort to you during the night. Remember to try to conserve the batteries by shutting the light off when you don’t need it. And don’t forget to check the batteries BEFORE you go out! You don’t want to be stuck in the woods at night with a flashlight that doesn’t work.An excellent flashlight that is waterproof, floats, and is durable is the Waterproof Floating Flashlight by Eveready. If you want something smaller, there are many small led flashlights that provide excellent light and long battery life. The Impulse LED Multi-Purpose Light is a good one, and it clips onto your belt or pack. Rope or Cord – A rope or cord is one of the most versatile pieces in your survival bag. A durable, strong, and lightweight type of cord is 550 Paracord. Paracord was first used as the suspension lines for a parachute, but its strength and durability has made it a must-have for any survival bag. Paracord can be used as a tourniquet in first aid situations, to make a shelter, as fishing line, to weave a basket or net, to make traps to catch an animal, and on and on. A 50 ft. section of paracord is an adequate length, and it doesn’t take up too much room in your pack. A fun way to carry your paracord is to wear it as survival bracelet. JM Cremps has everything you need including FREE downloadable instructions so that you can make your own survival bracelet. We also carry ready-made survival bracelet in a variety of colors. One bracelet contains 50 ft. of 550 paracord that is easy for you to unravel should you ever need to use it. 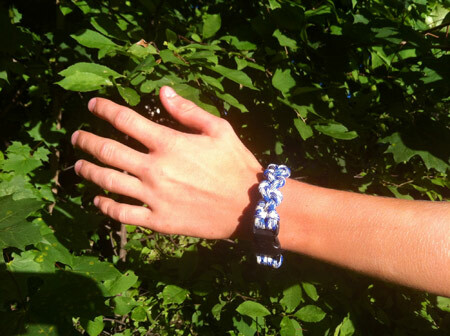 Knowing how to make paracord bracelets can be both fun and rewarding! 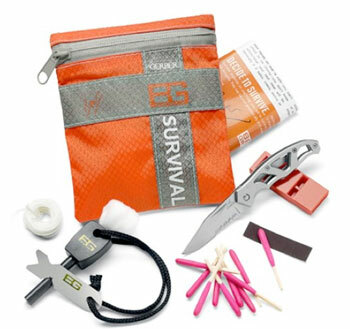 There are many resources that you can use to learn more about survival techniques, survival kits, and survival basics. The Boy Scouts Website has a whole section devoted to wilderness survival, and it is a great resource for the entire family. In this post we’ve only covered a few of the basics that should be included in a good survival bag, but every family can prepare their own bag based upon their own needs. In our next Survival Post, we will cover what to do if you ever find yourself in a survival situation.